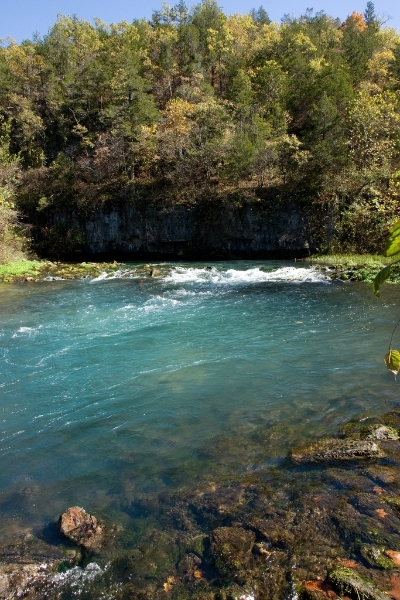 The Current River, located in southeast Missouri, flows southeast out of the Ozarks into nothern Arkansas. There it becomes a tributary of the Black River, and the Black River is a tributary of the White River. The Current River is 184 miles long, and starts at Montauk State Park at the confluence of Montauk Spring and Pigeon Creek. 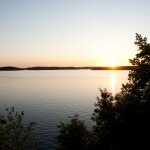 The banks are lined with gravel bars, caves, trees, bluffs, and rock ledges. 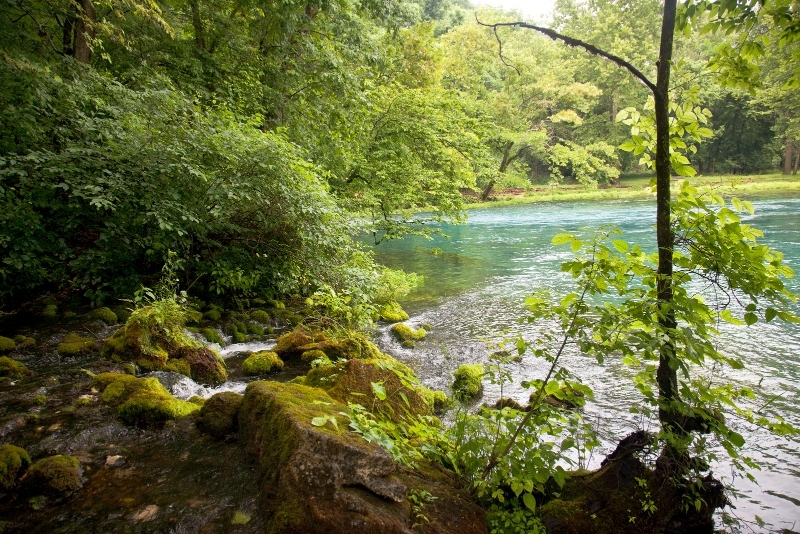 A canoe trip down the current is an unforgettable experience, so go check out this beautiful river today! You can find several canoe outfitters in Eminence, MO. Scroll down and read more about all the great things to do at Current River! Current River in Missouri has 1,677,440 surface acres and is 184 miles long. From Doniphan, head west on Plum St toward Walnut St 154 ft. Take the 1st right onto Walnut St 0.7 mi. Turn left onto MO-142 W/MO-21 S/US-160 W 1.9 mi. Turn left onto MO-142 W/MO-21 S. Continue to follow MO-21 S 1.8 mi. Turn left onto State Hwy A 5.7 mi. Turn right onto Co Rd a-5 0.2 mi. See map above for other access points. Float Trip, Camping and Facilites at Montauk State Park. 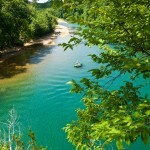 Other Private campgrounds are also available, several near Eminence, MO. 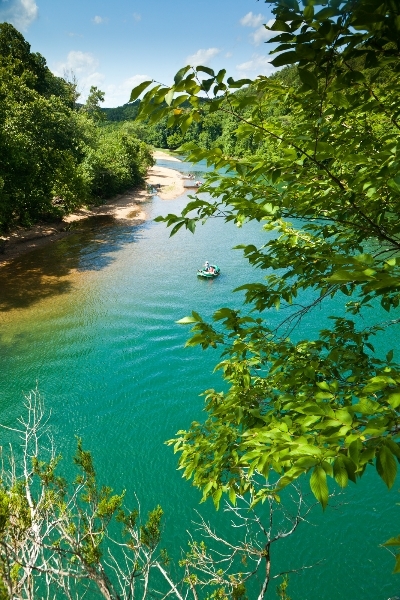 The Current River between Montauk and the Ripley County line (134 miles) is managed by the National Park Service as the Ozark National Scenic Riverways. We hope to see you, soon. It would be helpful to mention that most of the Current between Montauk and the Ripley County line, 134 miles of it, are administered by the National Park Service as the Ozark National Scenic Riverways, not by the Conservation Department. Phone number 573-323-4236. 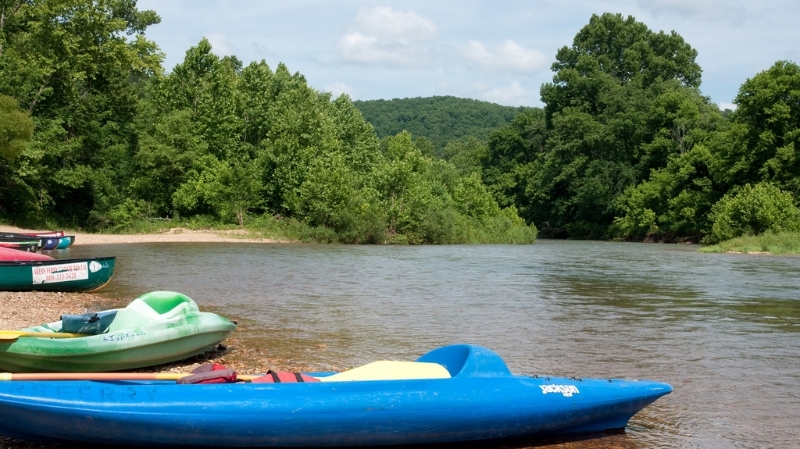 The official website: http://www.nps.gov/ozar lists all canoe rentals on the river with phone numbers and links to their websites, along with real time river levels, weather, campgrounds, etc. There are several large full service campgrounds that were not mentioned, such as Pulltite, Round Spring, Two Rivers, Big Spring and many smaller ones with fewer services, some of them free. These are operated by the National Park Service. Thanks Bill! I will add the info and phone number. We will also be adding a directory soon, so we can get all campgrounds and outfitters listed on the site.